A small town in Illinois is documenting its electrical and water distribution infrastructure using ArcGIS Online and mobile devices so that information is current and accessible. 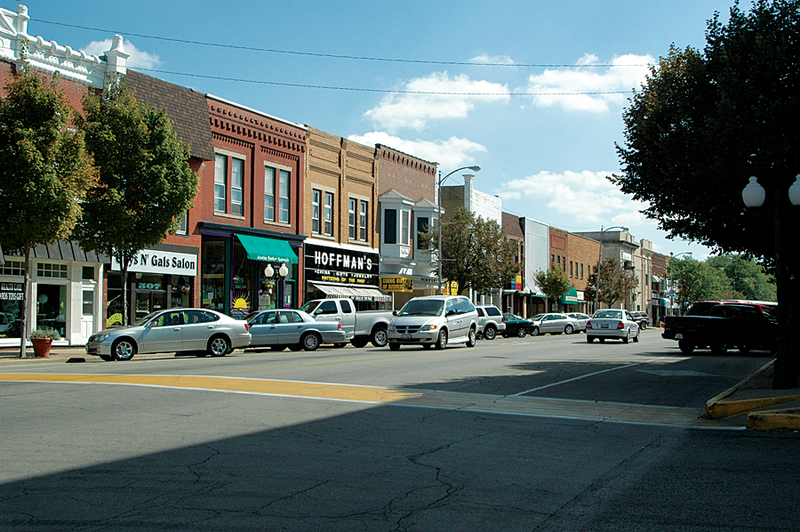 The City of Princeton, located about 100 miles southwest of Chicago, has about 7,700 residents. The city owns and operates its electric utility, water distribution, and wastewater reclamation systems. The Electric Department, which was purchased by the city in 1900, now serves 4,300 customers. In 2003, the Electric Department expanded its operations by entering the telecommunication business in partnership with Connecting Point/IVNet of Peru, Illinois. The city-built fiber network connects local businesses and is supplemented by broadband over power lines (BPL) providing low-cost Internet access to residents. Connecting Point/IVNet provides services over this network. To support these and electric distribution services, the Electric Department maintains 2,063 poles and 1,107 streetlights. The Water Department maintains 58 miles of water main and operates the water filtration plant. Over the past 10 years, it has built a new 1.5-million-gallon water tower and three-story treatment facility. Through its decades of operation, the department has kept meticulous paper records of its system in a small sketchbook known as “The Bible.” This volume has been handed down from superintendent to superintendent to the present day. After completing the inventory of 2,500 utility poles in just two and a half months, Princeton has comprehensive information on the number, condition, and types of electric poles in its system. In May 2013, the Electric and Water Departments contracted with Cloudpoint Geographics, Inc., of Roanoke, Illinois, to help create and improve digital records for these two municipal utility systems. Cloudpoint, a recipient of the Esri Specialist designation, chose ArcGIS Online as the primary collection and distribution mechanism for the project. 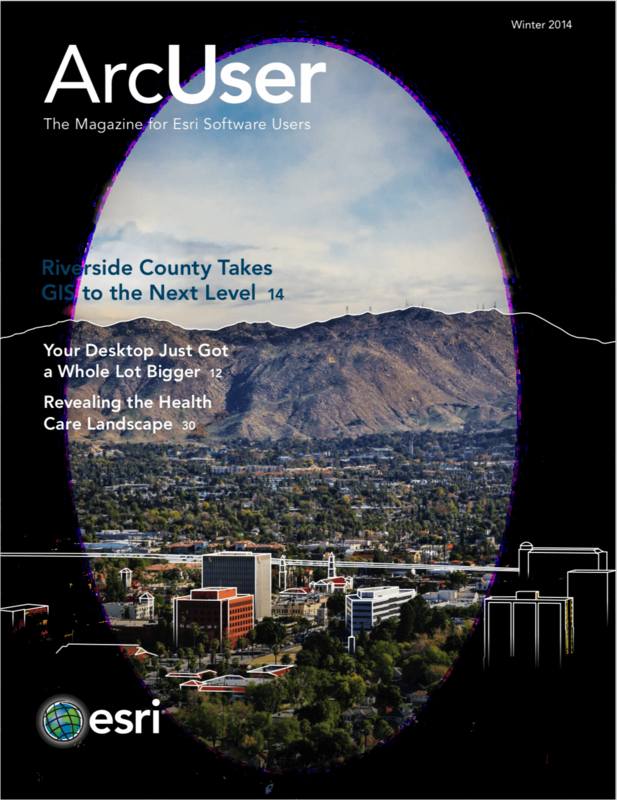 ArcGIS Online is a collaborative, cloud-based platform that lets members of an organization create, share, and access maps, applications, and data, including authoritative basemaps published by Esri. Rather than purchasing iPads to conduct the fieldwork for the project, the city rented four preconfigured iPads as mobile data collection devices from Cloudpoint. Using the iPads in kiosk mode with the Collector for ArcGIS app from Esri, four teams from the Electric Department inventoried and photographed more than 2,500 utility poles in just two and a half months. This inventory provides the city—for the first time—with comprehensive information on the number, condition, and types of electric poles in its system. Cloudpoint Geographics is currently migrating the Electric Department data into the ArcGIS Data Model for MultiSpeak, a ready-to-use geodatabase template that conforms to industry-standard MultiSpeak specification and is endorsed by the National Rural Electric Cooperative Association (NRECA). Eventually, the department’s CAD information will supplement the model and provide a clear picture of the entire electrical distribution system. 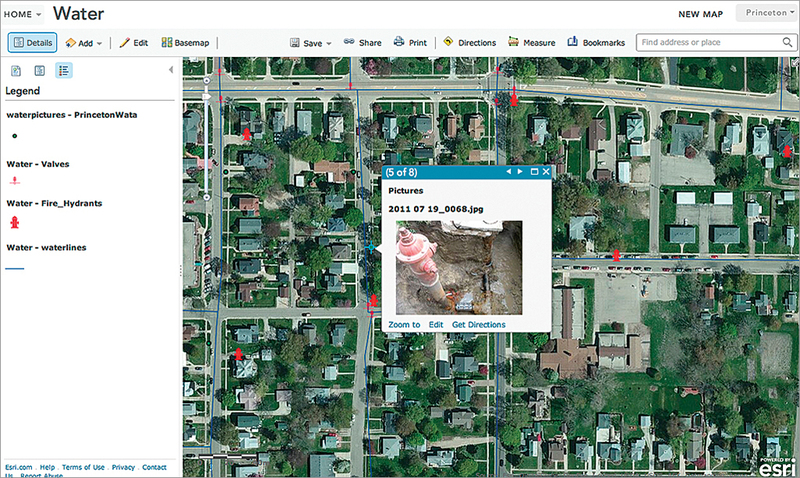 Photographs of the water system's components were geocoded and uploaded to ArcGIS Online. To aid in digitizing the city’s water system, Cloudpoint was allowed to scan pages from the Water Department’s Bible but required to return the book each day. In keeping with the city’s tradition of meticulous record keeping, each of the approximately 4,600 photographs (both digital and scanned) collected was given an approximate address by department staff. That metadata was stored in the exchangeable image file format (Exif). Cloudpoint extracted this information, geocoded it, and linked it to each image before publishing it to ArcGIS Online for use in the field by Water Department staff. A copy of the original sketchbook and these photographs are now available on ArcGIS Online. Because the Esri Local Government Information model was used, information about main breaks and other projects can be included so that important information, as well as the Bible and photographs, is now readily accessible to field crews responding to water main breaks. The Electric and Water Departments’ projects are just the beginning. The City of Princeton, with Cloudpoint’s help, plans to use ArcGIS Online to increase the locational accuracy of the city’s data, make some data publicly available, and expand the use of GIS into other city departments. 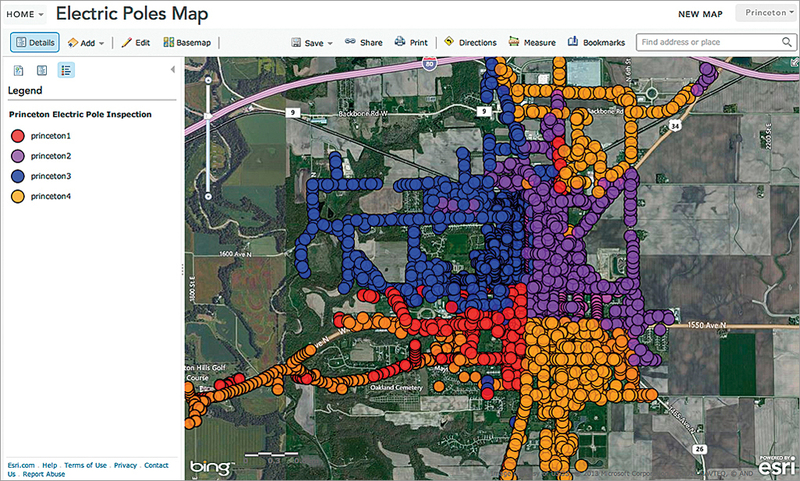 The city’s ArcGIS Online subscription makes all these projects possible and affordable.